Welcome to the Martial Arts website of Dacayana UK & Europe. 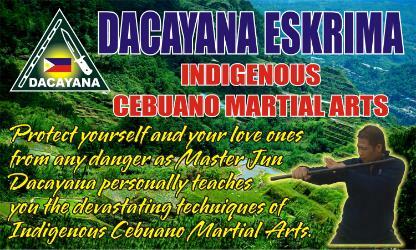 The Dacayana System of Eskrima was founded by Grandmaster Alberto 'Jun' Dacayana of Cebu City, Philippines. Dacayana UK & Europe are authorised from the World Headquarters in Cebu. The Dacayana system is very Effective, Unique and Beautiful. The training emphasis is on flow, precision, timing, body mechanics, control, footwork and form. Dacayana filipino cebuano martial art and the Dacayana Family is not only a top school but teaches valuable life skills such us courtesy, respect , discipline and honor. I went in cebu the heart where the grand master Jun trained and teach me the magic beauty of this style . It is not only based on weapons like knife and stick but hands fighting that let me surprised of the effectiveness of the style despite the many martial arts i had already practised. Jun is not only a skill master but a life master very careful that the teachings learned become part of you..i found a friendly environment Jun, his friends , the Country, people always ready to support you. if you are looking for a school that will not only teach you martial arts but help you become better human being then this is the place for you! Listen, no any other filipino martial art is comparable with the Dacayana style! Why not Join our Facebook Group and keep updated? 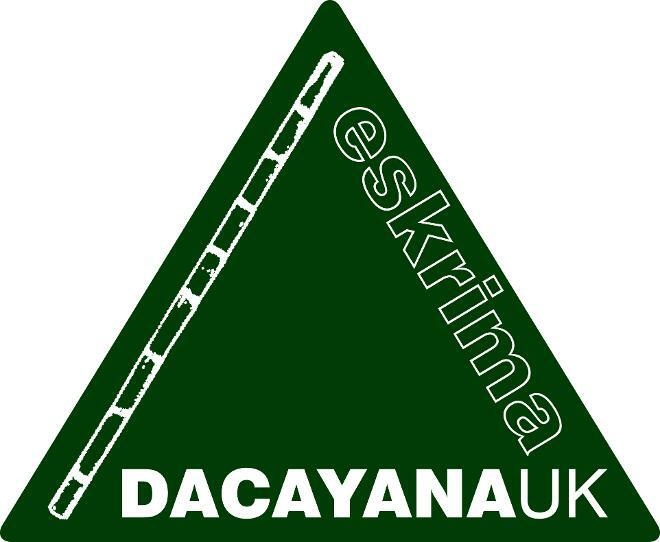 Dacayana UK was founded in the Autumn of 2006 and renamed Dacayana UK & Europe in 2012 to acknowledge the continuing interest in the system from across the continent. 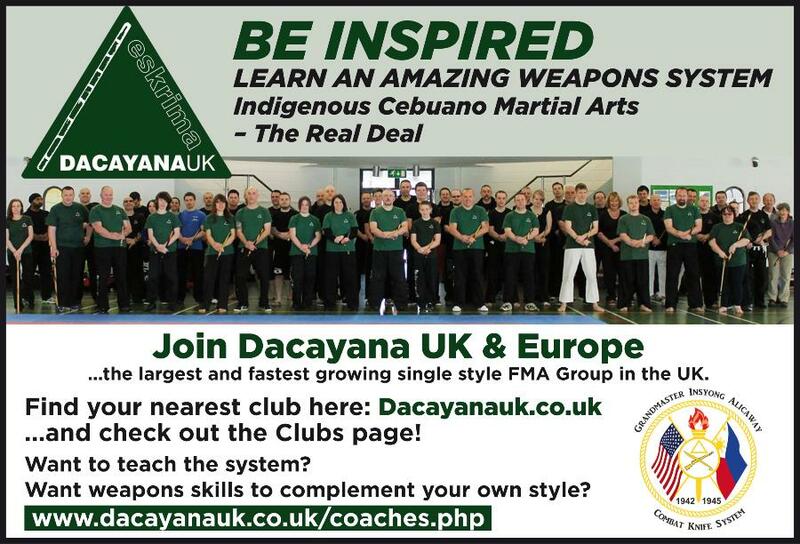 The Dacayana System of indigenous Cebuano Martial Arts is available for everyone, young or old to learn an effective and beautiful Filipino Martial Art. Whilst we offer the hand of friendship to all Eskrima and Arnis Students, Instructors, Masters, Associations, Groups, Styles and Federations, we pride ourselves on our uniqueness and independence. We are NOT connected or associated with or to any other style. The style we teach is that solely of Grandmaster Jun Dacayana and no other. We ask that we are not considered to be members of any other society or organisation either in the Philippines or here in the UK. We wish to to remain independent and completely free of politics. Thank you for respecting our wishes.